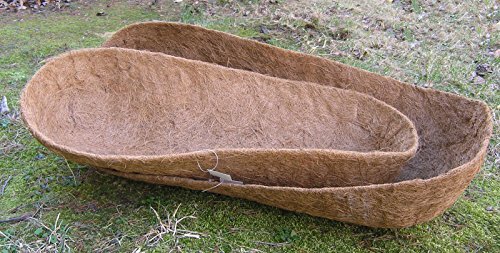 30" molded trough coco replacement liner made from 100% environmentally friendly and renewable coconut husks and molded with a natural latex. Molded to fit our KC 62 cradle planter. If you have any questions about this product by Garden Artisans, contact us by completing and submitting the form below. If you are looking for a specif part number, please include it with your message.